More Jihadists In The West - Why? Growing up under Sharia law and in Islamist schools, we were taught that the highest level a person can reach is to be a mujahid. A mujahid is a person that God truly loves. Once, I dared to ask what exactly the term mujahid meant. The imam said that a true mujahid is a person who does not just die defensively for protecting Allah's values. A true mujahid, one who is most loved by God, is a person who acts offensively, including through violence, when he or she sees our religious values are being violated in any part of the world. That person is a true holy warrior, he explained. That description has been echoed through the halls of schools, and whispered into the minds of children. It has followed me throughout my life. Now, as I reflect on the first time this thirst for violence was explained to me, an eerie reality comes into focus. If the teachings of these radical imams are accurate, then the rate of mujahidin in the West appears to be increasing far higher in the West than in the East. As some clamored to reach this ideal, we were told that one major indicator of whether the number of mujahdin is increasing or decreasing in a society is to look at the rate of those who are becoming martyrs. The higher the rate, the more mujahidin are there, and the more satisfied God is. It was a powerful message delivered to young, impressionable minds, that were eager to please and learn. Growing up in the Middle East, within Muslim-majority nations, I rarely heard of radical Islamists committing terrorist acts in the region. But in the few years that I have lived in the West, I have regularly heard of bombing and suicide missions committed by radical Islamists. Their targets have been Americans and Europeans, including attacks in London, Paris, Nice, Brussels, Boston and San Bernardino -- and often one another. Information about these attacks is splashed across the media, discussed between concerned citizens, and echoed throughout global politics. 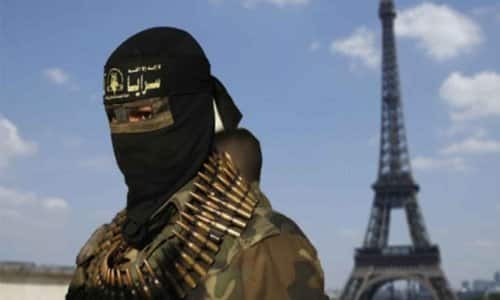 This situation prompted me to ask: Why do there appear to be more Islamist terrorists in the West, even though the homeland of their religious teaching is on the other side of the world? It would seem implausible that the West, with freedom of education, would become a hotbed for these violent minds, and yet the numbers are clear. Ignoring the trend will not do anything to prevent future tragedies. The cause of this explosion of terror in the West needs to be rooted out. After careful study, it seems that there are several explanations. First of all, Western countries are much more lenient toward the jihadists and Islamists. When I came to the West and learned what kind of teachings the radical imams in the UK and the US preach, I was astounded. They freely lash out at the country which gives them shelter, they denounce the political system, they criticize the people they see every day in the streets. They denigrate the way people live in the West, the way they dress, eat, every aspect of their daily lives. In fact, these radicals do not preach about the violence and dictatorships in the Middle East where they are originally from, or claim to have escaped from. Their only target appears to be Western societies. In the Middle East and under Islamist states where these radical ideologies actually originated, however, these groups are not allowed to operate as freely if they target their own land. In the Middle East, there are severe consequences if they preach against the domestic political system. They are permitted to grow only if they teach antagonism towards the West, Christianity, Judaism, and Western values. In Syria, for example, politicians, including the late President Hafiz Al Assad, gave shelter to fundamentalists who founded the Muslim Brotherhood of Syria. The objective of the Syrian branch of the Muslim Brotherhood was to incite hatred toward Israel and the US. But, since jihadists will not stop until they rule over the nation and impose their own version of Islamist laws, the Syrian Muslim Brotherhood added another goal to its agenda: turning against the Syrian regime. Immediately, the rulers took action and removed the whole organization and its members from Syria, even though Syria was their homeland and they were practicing the religion of the constitution and the land. In Iran, when the Islamist party of Ayatollah Khomeini came to power, it did not embrace all other Islamist and jihadist groups. It supported and promoted only those jihadist groups that agreed to focus on promoting two major issues: anti-Americanism and anti-Semitism. Other Islamist groups, which turned against the regime itself, were immediately removed from society even though they were practicing Khomeini's version of radical Islam. The Islamist rulers in the region, where Islamism was actually born, are fully cognizant of the danger of letting some jihadist groups preach against their own society and system. They know how influential the Islamist ideology is in changing people, brainwashing, recruiting mujahidin, committing acts of violence, taking power and controlling the political establishment. On the other hand, many in the West are far too lenient toward these fundamentalist groups. There is a belief that you should give them the same rights to enjoy freedom of speech, press, and assembly as everyone else. These rights in themselves are valuable. But the issue becomes, where do you draw the line? When a radical imam in the US or Europe is publicly inciting anti-Semitic, anti-American, and anti-Western hate, should they be allowed to continue? When many radical Muslim centers in the West preach jihad and terrorism, should you still let them enjoy freedom of speech and assembly? Their preaching is the major factor behind the increasing terrorism we have currently spreading throughout the West. It is this hate speech, and incitement of violence, that has taken lives of many innocent people. If we allow them to continue, the vicious trend will only ratchet up exponentially. The West needs to understand that the Islamists do not see these rights as something to appreciate; they see them as something to exploit. These very rights are used to manipulate and radicalize citizens and foreigners alike, to turn against the host government and the innocent people who share the land they stand on. They are brainwashed and then encouraged, if not commanded, to go out and change everything around them. The second problem facing the West is that many people do not take the capabilities of these extremist groups and their preaching seriously. Growing up under Islamist rule, you could witness how intricate, powerful, and simultaneously simple their words can be. One of the strategies of these groups is to tap into communities where young people are facing problems -- financial difficulties, family hardship, maybe psychological issues. The imams superficially embrace them as fathers, as if embracing his children. Then, they create explanations for why these young people are faced with such problems. They teach them that the problem lies in their society, their government, their own people, even their own families. Once they fill a young mind with their message, they show the ultimate solution: Be a true mujahid, a true holy warrior. Youths are told they will satisfy God the most and will be met in the next life with everything they do not have in this world. They dangle the glamour of a better existence in front of these young minds until it is the only goal they seek. That is where committing suicide bombings and other terrorist acts against citizens of their countries comes in. The whole process of making someone a mujahid does not take as long as people may think. Nor is it difficult, as they know exactly the type of vulnerable youth to target. Finally, people in the West do not know what radical Islam and jihad actually are. There is this predominant notion that if you are nice enough to these radical Islamists, and if you treat them with generosity and kindness, they will rehabilitate into valuable citizens. Along with this, there is another flawed idea, that if Muslim groups that claim to be less violent and "moderate" are given more power, then the extremely radical groups will just evaporate. These theories are extremely unsophisticated and rudimentary, highlighting the ignorance of some in the West of the nuances and complexity of Islamism. The majority of people who hold these beliefs most likely have not lived under an Islamist state or in a Muslim-majority society. In addition, many in the West think that if borders are opened and people are given citizenship, shelter and education, they will appreciate Western values and adopt them. This argument has proven to be absolutely inaccurate. The top Islamist leaders initiated their jihadist movement after they came to the West. Sayyid Qutb, for instance, who became an inspiration for Al Qaeda, the Islamic State, and similar terrorist groups, was provided a free scholarship to study, and opportunities to work in the West. Qutb attended Wilson Teachers College in Washington, D.C., Colorado State College for Education in Greeley, and Stanford University. He was given the occasion to travel across the US and Europe. The first thing he did after returning to his birthplace, Egypt, was to publish an inflammatory book, The America that I Have Seen, in which he lashed out at every aspect of America, including women, life, culture, art, lifestyle, religion, and those prized freedoms that afforded him so much. As long as this leniency and the multitude of flawed perceptions are allowed to continue in the West, the number of jihadists will grow, and subsequently the number of innocent lives being taken by terrorist acts will soar. We only need to look at the not-too-distant history of the West and current Islamist states to see that if action is not taken immediately against the spread of hatred and violence, it will be too late for anything but regret.